"Few teams can cope with the loss of senior players and the absence of three for Sri Lanka is surely too many"
West Indies captain Jason Holder has demanded his players be more consistent. Fair enough. But this team are a work in progress and with a 1-0 lead in the series with one to play they are going in the right direction. Of course bowlers and batsmen could be poked to reach for better returns after the frustrating draw in St Lucia but the hosts had the better of that contest. They were in charge after bowling out for Sri Lanka for 253. That they couldn't keep the foot on the throat is testament to an inexperienced group. They at least showed nerve to hold on for the stalemate. Chasing an irrelevant 296, West Indies could have been in a spot of bother at 64 for four. But Kraigg Brathwaite, the human anchor, guided them to safety. Shannon Gabriel took eight wickets in that first-innings and his form has been the major fillip for West Indies. He is a terrific bowler and one which is a throwback to the good old days of Holding and Roberts etcetera. West Indies may chuck 20-year-old pacer Keemo Paul into the XI in place of Miguel Cummins. Sri Lanka are having a disastrous time. They smashed the self-destruct button in St Lucia with Dinesh Chandimal, the skipper, accused of ball-tampering. Chandimal has been banned from this match. His experience and skill will surely be sorely missed by a team which is also without Angelo Mathews, who returned home before game two because of personal issues. To make matters worst their best bowler, Rangana Herath, is injured. Not that we should feel sorry for them. They cheated in St Lucia and then walked off the pitch costing them overs which they needed when trying to bowl out West Indies. The tourists had already made four changes after defeat in the first Test so further upheaval is unwanted. Suranga Lakmal will lead while Kusal Perera could either be dropped or relieved of opening duty. Danushka Gunathilaka comes in for Chandimal. Lahiru Kumara, their slippery pacer, is their one hope. He could do damage with the pink ball in an evening session. There have been three Tests in the last five years at Kensington Oval. The first-innings scores read (most recent first): 312-257-293. In all innings only once has 350 been busted as the surface has assisted seam bowlers. Last May Pakistan were razed for 81 batting last when going after 188. That man Gabriel claimed five wickets. It could be wise to lay 300 or more in first dig. We can get ourselves in a bit of a muddle with day-night Tests. Is it better to bat first or second? Tricky because the significant factor is the evening session when the ball zips around more. Over the course of five days it is difficult to predict who will, or won't, get most opportunities at dusk. What we do know is there has yet to be a draw in a day-nighter, although the study sample is small at nine matches. With no rain around and cloud cover expected, we can probably swerve a gamble on another draw at [5.8]. Not surprisingly we are keen to get with the Windies at [2.14]. We thought they would be shorter following Sri Lanka's roster issues. They look far more likely to take 20 wickets than the tourists, who are [2.74]. Few teams can cope with the loss of senior players and the absence of three for Sri Lanka is surely too many. Roston Chase and Shai Hope have ground form here. Chase notched 131 against Pakistan in the first dig in 2017 and Hope made 91 in the second. They go off at [4.1] and [3.75] respectively. Brathwaite is also [3.75]. 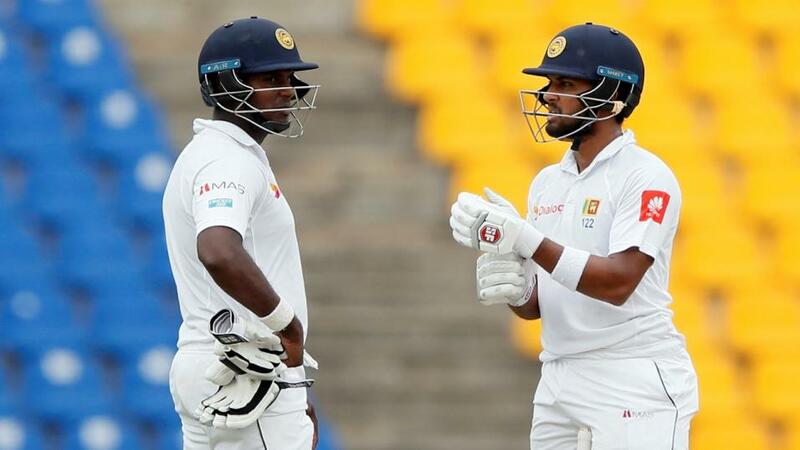 In the absence of Chandimal, Mathews and (probably) Perera, who scores Sri Lanka's runs? Kusal Mendis. In the last three years he actually outscores the latter two. And with a half-century in St Lucia it's easy to make a case for him at [3.5]. Look out for a price on Dhanajaya De Silva. His numbers are projected to be almost as good as Chandimal's.